Ah, the reboot. Sometimes they work (Batman Begins, Star Trek), sometimes they don’t (Superman Returns, The Incredible Hulk). So which class does the prequel/reboot X-Men: First Class find itself? The answer to that, from my perspective, is pretty clear: if you call yourself an X-Men fan and don’t enjoy First Class, then you’re someone who will never be happy with the way our favorite mutants are portrayed on the big screen. A bold statement, to be sure, but that’s simply how good Matthew Vaughn’s film is. It’s big and full of sfx, just like a summer film should be, but it also has a smart script that focuses on character and relationships as much as action sequences and explosions. For all intents and purposes, First Class removes itself from the previous X-Men trilogy and Wolverine film. You probably have heard by now that X-Men: First Class is a period piece, set in the 60’s when the mutant phenomenon hasn’t reached the public and tensions between Russia and the U.S. are at a breaking point. Giving a real world scenario to this particular story really helps ground the X-Men in a way that the previous films just didn’t. Where those felt fantastical, First Class has more of an espionage/spy feel to it. The James Bond comparisons are pretty close to the mark. There’s so much to enjoy about X-Men: First Class, it’s hard to know where to start. James McAvoy and Michael Fassbender are absolutely brilliant in their roles as Professor Xavier and Magneto, respectively. I read an interview with the two recently where they admitted there were discussions with Matthew Vaughn as to whether they should base their performances on those by Patrick Stewart and Ian McKellan. They don’t and that was a wise decision. McAvoy and Fassbender make these iconic characters their own, especially Fassbender, who is mesmerizing as Magneto, giving him real depth and soul. X-Men: First Class rests on their shoulders and the relationship between two men who would go from dear friends to determined rivals – if we don’t believe in them, the film fails. One of the cornerstones of the X-Men world is the struggle mutants have – do they search for acceptance from the world or do they embrace their differences and reject the rest of humanity? While this ground has been covered in all the films, First Class’ script covers it in a more serious and less bombastic way. While we may know which side many of the characters will wind up, it’s genuinely interesting to see fan favourites like Mystique (Jennifer Lawrence) and Beast (Nicholas Hoult) choose their paths. Other things I loved enjoyed about the film – Kevin Bacon’s understated performance as the film’s villain, Sebastien Shaw; the way in which are heroes choose their code names; and January Jones’ cold as ice portrayal of Emma Frost, The White Queen. In my mind, X-Men: First Class is pretty close to a perfect x-flick. There are little things that let me down (is there any reason Rose Byrne’s Moira Mactaggert couldn’t have had a Scottish accent?) 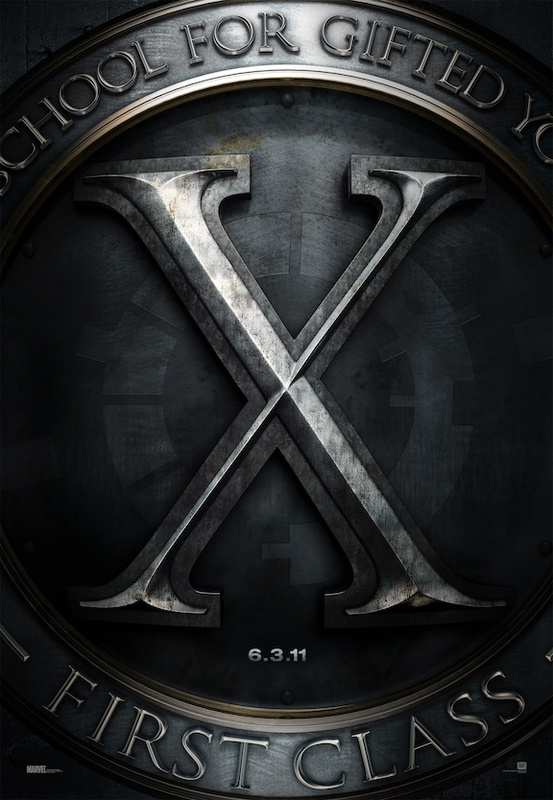 but overall, not only do I think that X-Men: First Class is the best of all the films in the franchise, I feel it’s in the pantheon of films like The Dark Knight which transcend the genre of superhero films and stand simply as a great movie, mutants or not.